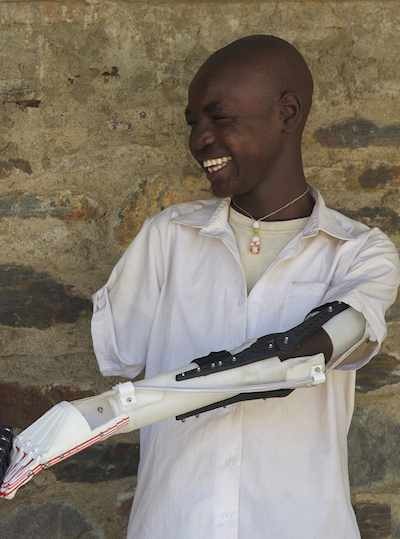 A Californian non-profit has set up a lab for 3D-printing artificial limbs in Sudan so that the local community can supply the low-cost prosthetics to victims of war. Mick Ebeling founded Not Impossible Labs with the aim of helping create low-cost, open source, DIY solutions to healthcare problems. This latest project was inspired by a 14-year-old boy who told Time magazine he lost both hands in the war and wanted to die without them. Thanks to Christopher Stoneking for submitting the link on our Facebook Page!